Whilst, quite rightly, the role of the Railways in this the centenary of the outbreak of the Great War and 75 years from the outbreak of World War 2, has been stressed as the unsung hero of both conflicts, it is 160 years since the Railway went to War. In March 1854 the unlikely alliance of Britain and France declared war on Russia, starting what was to later be known as the Crimean War. Often described as the first 'modern, inudstrial' war, the Crimean War saw the first mass use of the railways to move troops and materiel but also in the warzone itself. 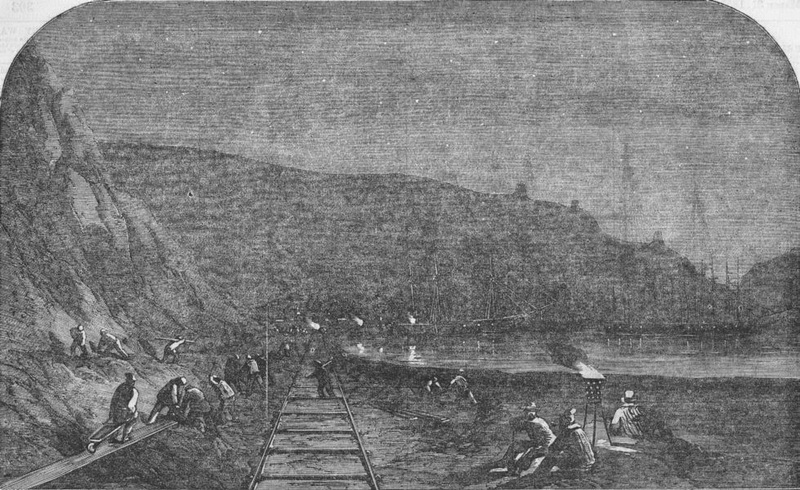 In the build up to hositilities in the Crimea, men, horses and supplies were moved by rail. When the Scots Greys - a cavalry regiment - marched from their barracks in Nottinghim to Liverpool (via Manchester) the men and horses went by foot, but their baggage was sent by rail, via Chesterfield, Matlock, and Buxton. When the 7th (Royal Fusiliers) Regiment of Foot left its barracks in Mancehster, it did so in ten trains chartered from the LNWR, 150 men per train. Some 3,000 tons of forrage from horses was despatched from Leeds by rail before being put on board ship and sent out to the warzone. One of the most audacious plans for the railways involved sending the entire British cavalry force (the 'Heavy' and 'Light' Brigades, totalling around 2,000 horses) all the way accross France using the newly opened PLM (Paris à Lyon et à la Méditerranée) railway. Over 100 wagons and specially-contructed horse-boxes were collected in Calais for this monumental task. The backers of this scheme positted that sending the cavalry by rail was quicker than sending them by sea to Marseilles, safer and would prevent the horses from 'dropping off in condition'. Sadly, it was cancelled at the last minute due to protests from communes in the South of France who, with memories stretching back 40 years), did not want to see British troops marching through their villages. Initially worked by horses and stationary engines on incline planes, the line was relaid with heavier rails and the more severe inclines avoided so that steam locomotives could be used. She was soon joined by a sister engine, 'Victory', in September 1855 after the fall of Sebastopol. A further three locomotives were sent out: two from the LWNR and the fith, called 'Swan' from the St Helens' Railway. 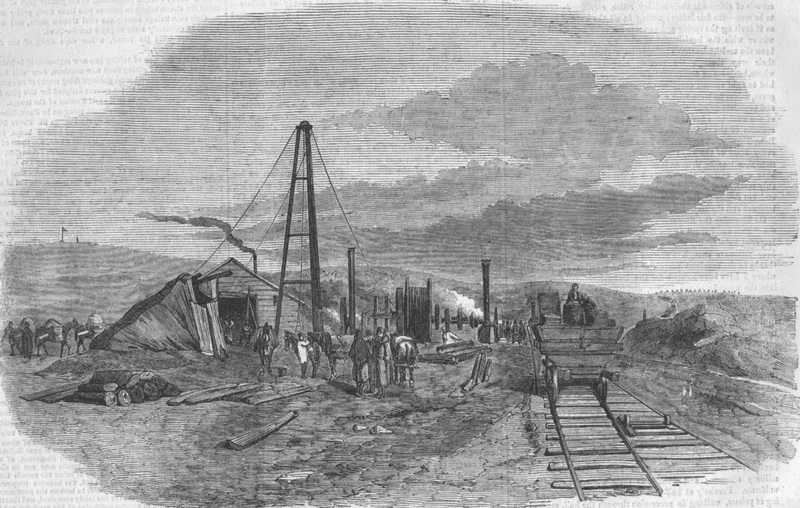 After peace was declared on 30 March 1856, the railway was sold piecemeal at auction.